HIS FILMS ARE known more for their off-kilter bromances and failed relationships than for their politics, but actor Vince Vaughn has turned his eyes to the Troubles in Northern Ireland. Art of Conflict, Vaughn’s film about the historical and social significance of the murals in Belfast and Derry, was made several years ago but Irish audiences are getting their first chance to see it from today when it will be released on Netflix. In the film, directed by Vaughn’s sister Valeri, politicians, historians, muralists and everyday citizens are interviewed about the murals, which have become an ever-present reminder of the history of the Northern Ireland conflict, commemorating the dead, highlighting tensions, and incorporating the peace process over the years. 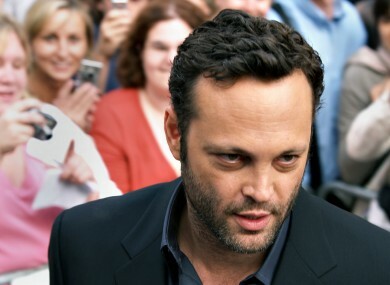 In an interview to promote the film’s Netflix release, Vince Vaughn said that they had tried to create a balanced portrayal of the murals. “We had to work a little bit at gaining trust to have everyone feel comfortable to sit with us and talk to us, and realise that we really – you know we really wanted their voices to explain the murals and their point of view, and for us to sort of get out of the way,” he said. Vaughn said the initial idea for the film came to him while on a visit to Ireland to meet with some relatives. But I went to see the murals and what really struck me was that these murals were in these neighbourhoods. They were not, you know, pieces of art that were separate with an artistic point of view solely. They really were either points of view about the neighbourhood, remembering of events that they found to be important, or just put up to sort of intimidate people that wouldn’t be welcome. The murals are often spoken about in terms of their impact on people seeing them for the first time, compared to how they become a part of the landscape furniture for residents. A central theme of the film is exactly what role the murals are supposed to play: art or propaganda. “Some feel that they’re both,” said Valeri Vaughn. “Some feel that they’re one or the other”. Mostly in the documentary, what we try to do is just raise the question and let the murals and the arts and the artists that paint them speak for themselves. Email “Vince Vaughn has made a film about the Northern Ireland murals...”. Feedback on “Vince Vaughn has made a film about the Northern Ireland murals...”.